Umm. Remember the i.am+ Puls, otherwise known as the "wearable nightmare"? Remember the "Gucci edition"? Well if you wanted to live tomorrow today then, you'll definitely be ready for Will.i.am's particular brand of the future now. He has just launched his new Dial smartwatch in the UK. And it looks a lot like a Puls. 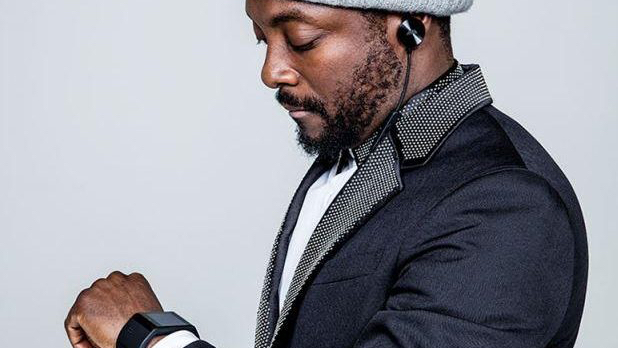 Will.i.am told The Telegraph that the Puls was a beta product, only made available to a limited number of people and that he "learnt a lot" in the process from feedback and "how to make things at a rapid pace". The design looks very similar to the original $400 Puls - described as a "house arrest anklet" and "the most uncomfortable and most frustrating wearable" in reviews. We wouldn't know, we've never been allowed to get our hands on one. The Dial has a 1.63-inch screen, a 2MP front-facing camera and will come with a Bluetooth headset. It plays music, can send texts and make calls and track fitness. The untethered smartwatch, which has its own 4G SIM, is going on sale in early April and it will only be available on a two year contract with Three. Also carried over from the Puls is ANeedA, the voice controlled OS which is powered by Nuance tech - not always the most reliable of voice systems but it's improving. Music streaming has been hinted at but Will.i.am isn't confirming who is involved on this front yet - 7Digital was a part of the original Puls plan. Maybe he has ditched it. Apart from the contract announcements (last time it was O2 and AT&T), it's difficult to see what's actually new here. Is this just the widely slated Puls with a new name? We know that the second gen Puls was supposed to be 40% smaller and from the pics, this looks possible. Is Will.i.am hoping that people in the UK don't use the internet? One thing's for sure, the judge of The Voice is not giving up on his wearable tech dream, however misguided, and that is an inspiration to us all.